Lutron Maestro® Wireless® Multi-location dimmer has voltage rating of 120-Volts at 50/60-Hz. 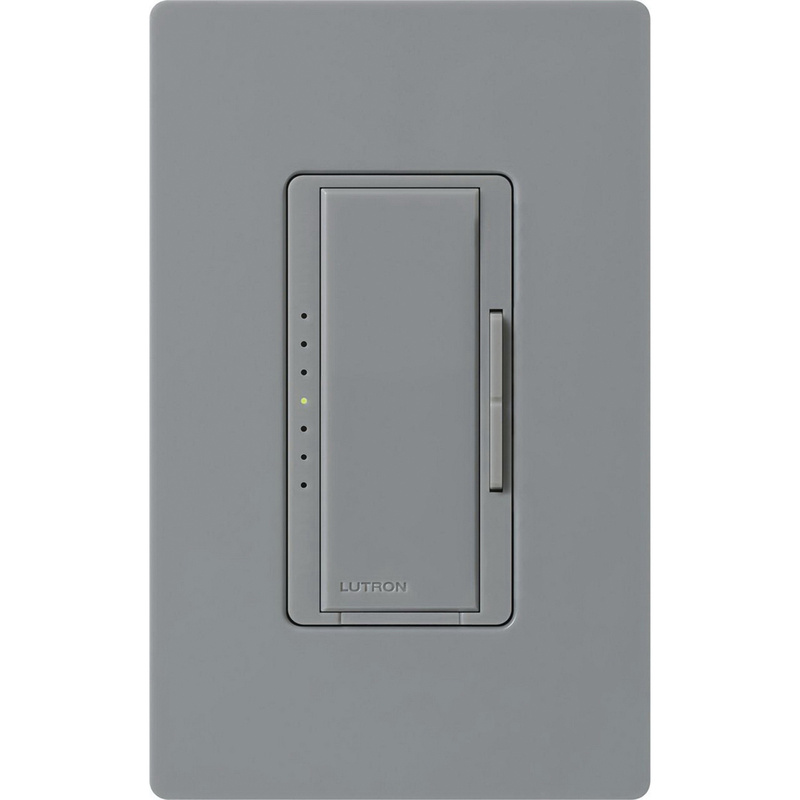 Dimmer in gray color, has Lutron patented Clear Connect RF technology that works through walls and floors. Dimmer in gloss finish, incorporates advanced features such as fade ON/fade OFF, high-end trim and rapid full ON. It has maximum load capacity of 150-Watts for CFL/LED, 600-Watts for incandescent/MLV. Wall mountable dimmer measures 2-15/16-Inch x 4-11/16-Inch. Dimmer operates at temperature range of 0 to 40 deg C. Dimmer is UL/cUL listed and FCC approved.